HOUSTON (Legal Newsline) - A company that extracts uranium in the United States and in Paraguay is being sued by investors claiming it made misleading statements about the company's stock valuation. Heather M. Stephens filed the lawsuit on June 29 in U.S. District Court in Texas against Uranium Energy Corp. claiming the company stock was at an “unsustainable valuation” and it didn't disclose that to investors. The high stock valuation was due to the company using paid stock promoters, and the company didn't disclose the use of the promoters in its financial filings with the U.S. Securities and Exchange Commission. The omission, the lawsuit said, misled stockholders into investing in the company. The lawsuit said the paid stock promoters came from Twitter, and also from the company paying to have positive articles written promoting the company stock. The lawsuit said Uranium Energy paid more than $200,000 for the articles. When a news article was published about the stock promoters, the company's stock fell about 25.6 percent or 62 cents to $1.80 per share on June 19. The stock fell another 30 percent over the next two trading days. The lawsuit seeks class status for those who owned Uranium Energy stock between Oct. 14, 2014, and June 17. The suit also seeks an unspecified amount in damages plus court costs. Stephens is represented by Sammy Ford IV of Abraham, Watkins, Nichols, Sorrels, Agosto & Friend in Houston and Jeremy A. Lieberman of Pomerantz, LLP in New York City. 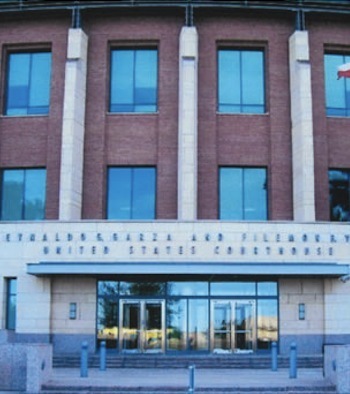 U.S. District Court for the Southern District of Texas case number 4:15-cv-01862.